If your vehicle needs service, maintenance or just a regular tune-up, trust the best mechanics in Belleville, IL and drive on in to J & R Car and Truck Repair. Since 2011 we’ve been helping drivers keep their cars and trucks in optimal condition, to deliver better performance out on the road and keep them driving for longer. 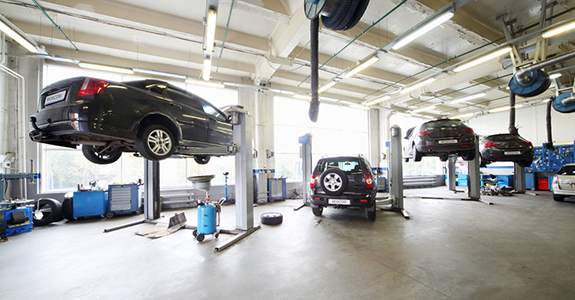 There are numerous auto maintenance shops in Belleville, IL and the surrounding areas where you can take your vehicle when it’s due for regular maintenance or it starts acting up… but you’re not going to get the same level of service at every auto body shop. In fact, there are few shops that can match the helpfulness and quality results provided by the professionals at J & R Car and Truck Repair. Giving your vehicle the services it requires is only half the job: making sure you’re informed of these services and understand them is also extremely important. At J & R Car and Truck Repair, we aim to be more than just another auto tune up shop in Belleville, IL—we strive to be the place where you feel comfortable bringing your vehicle. At J & R Car and Truck Repair, we do it all: from repairs and routine maintenance to tune-ups and more. Whether you’re looking for comprehensive engine repairs to a vehicle in need of an expert eye, or you’re just looking for a quick shop that performs alignments in Belleville, IL, you can have confidence in coming here. From the engine to the chassis, exhaust to the intricate parts that keep your vehicle in top working order, our experts can do it all. Take a look at why we’ve become the foremost repair shop and oil change service in Belleville, IL. We are a proud member of the National Federation of Independent Business. We’re a locally owned and operated business, serving all of Belleville, IL and the surrounding areas. Our pricing is competitive and fair, and we’re pleased to provide you with a quote! We do it all, from comprehensive repairs to simple auto tune ups in Belleville, IL. Need repairs or auto maintenance in Swansea, IL? Contact us today for a free estimate on service and we’ll happily provide you with a comprehensive estimate!